Beautiful Brick Home on 2 acres nestled among big fir trees only minutes to Barton Park. 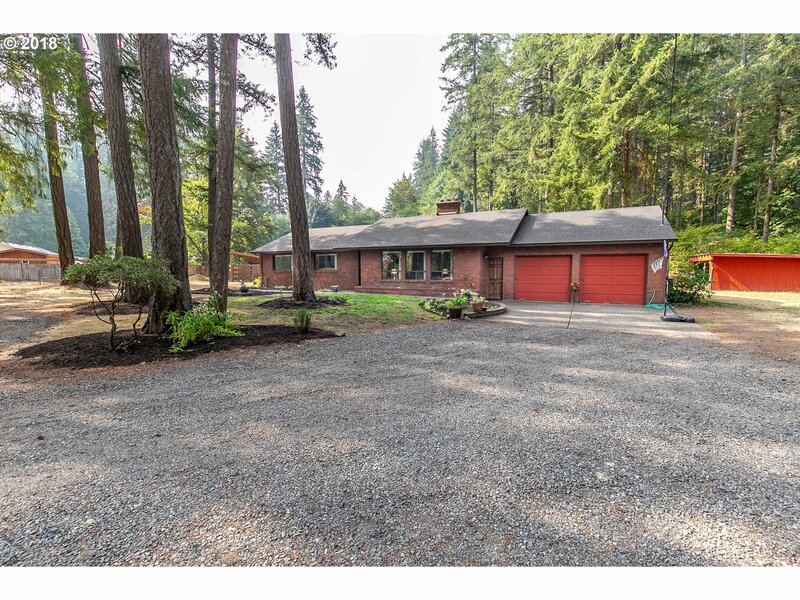 This single story home features newer roof, vaulted living room w/ rock fireplace updated kitchen includes all SS appl, granite, hardwood floors, cabinets + woodstove also updated master bath w/ tile + granite. Patio door opens to covered deck w/ big back yard that backs up to woods. A brick 32x20 shop w/ 30x20 carport w/ RV parking + chicken coop!